Lawyer Stuart FL | Lance P. Richard, P.A. "I started this firm so I could have the freedom to create a team that serves our clients in a thorough and thoughtful manner." When you need help with a personal injury claim or a criminal defense matter, you need a law firm with experience in the field. 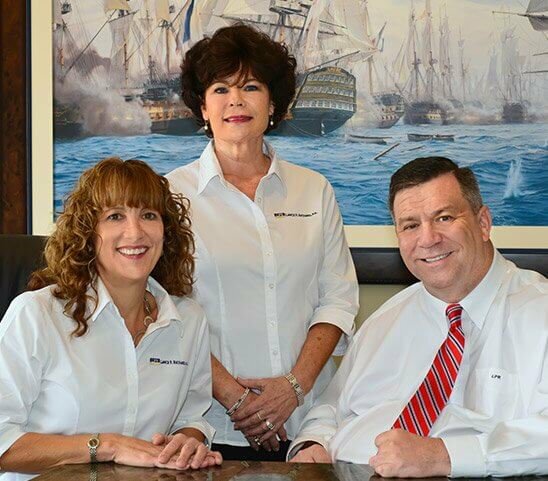 Our Stuart FL attorneys have extensive experience working with clients throughout South Florida and the Treasure Coast when they need help the most. Attorney Lance Richard has developed a reputation in South Florida for being a dedicated and committed lawyer working on behalf of personal injury and criminal defense clients. Learn your options and rights so you can make informed decisions. An accident, such as a car or truck crash, a slip and fall incident, or a boating accident, can lead to significant injuries, pain, and medical bills for a victim. Personal injury law empowers victims to recover compensation through a lawsuit when another person’s negligence caused the injuries. No matter what kind of accident you’re dealing with, you need to take action quickly to protect your rights. When accused of any type of crime, it is important to know your rights and to exercise them as soon as possible. Criminal convictions carry the weight of fines, potential jail time, and other consequences, making it all the more important to react quickly after being arrested. Whether it’s a DUI or more serious charge like murder, swift action is necessary. Lance Richard showed professionalism and compassion when I needed it most. He stepped up for me and had my back 100%. He believed in me when I was unsure. He has shown me how to come out on top and stronger than ever. I would never consider using any other attorney now that I have worked with the best. Lance is amazing. He recovered tons of money for our family. He's an awesome attorney and a wonderful man! Hire him! Lance is without a doubt the most thorough, kind and compassionate attorney I have ever dealt with! I wish every attorney was like him. I VERY highly recommend him! After bad experiences with two other attorneys, we were fortunate enough to find Lance. He gave us very good advice and handled our case to a successful conclusion. Thank you, Lance. I didn't know what to expect when meeting a lawyer for the first time, but Lance made the whole process bearable, and I felt I was in good hands from the start of our first introduction. He got me the best result, and I am truly grateful for him. When you’re facing life after a critical accident or accused of a crime, everything can seem overwhelming. The process of thinking about the future can provoke anxiety and fear. As a law firm with years of experience in this field, we know what you’re going through. We make it our goal to understand your case as soon as possible so that we can develop a strategy in line with your needs. Whether it’s a personal injury claim or criminal charges, the outcome of a case will have big impacts for the rest of your life. During this delicate time, you need to know who you can trust. Being able to identify an experienced attorney is an important first step towards protecting the rest of your future. Don’t wait to get the help you need. Hiring an attorney is an important step and it’s one that requires careful thought on your part. We aim to keep you informed as your case unfolds so that you know what to expect and so that you can make prompt and informed decisions about what’s best for you. We give you personalized attention so that you never feel as though you have been forgotten about. We care about you and your future and that’s what motivates us to protect it. Time is of the essence in both a personal injury and a criminal defense case. What you choose to do now could make things easier and help you with a troubling situation right away. Don’t wait to reach out to us to get the information you need to move forward. At the law firm of Lance P. Richard, P.A., you’re getting dedicated service from a team who cares. Legal service centered on people. You are a person and not a number. Our firm looks carefully into all aspects of your case in order to determine what steps need to be taken immediately. This gives you confidence and peace of mind that you’re being taken care of from the moment you contact our office. We will keep in touch with you over the course of your case to see how things are progressing and to ensure we’re working with a strategy that is best for you. We want to know how you’re doing and will continue to care from day one. You need to know your rights and all your options up front. This means getting an honest evaluation from a legal team with broad experience in the field. We’ll keep you aware of what’s happening and what it means for you on an ongoing basis. If you have been injured in an accident or arrested In Stuart, Palm City, Jensen Beach, Hobe Sound, Sewell's Point, Jupiter Island, or Tequesta, contact our office. If you've suffered from a personal injury or need a criminal defense attorney in Port St. Lucie or Fort Pierce, Lance can help. From Jupiter, West Palm Beach, Lake Worth, Wellington, Delray Beach to Boca Raton, we have you covered for your personal injury and criminal defense legal needs.